Zing gate valve lockouts are made from recycled plastic and can accommodate three padlocks. Fits 1"-2. 25" diameter and up to 1" thick valve handles. Fits over 1/2" valve stems/housing. 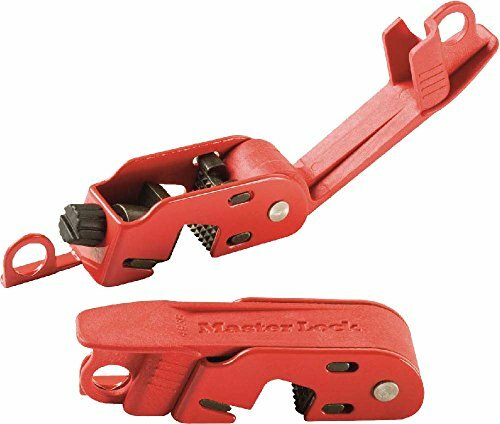 The Master Lock 110-120V plug lockout surrounds and grips the prongs of an electrical and combines with a padlock (sold separately) to help protect against plug connection during maintenance and repair, and fits two-prong 110-120 volt plugs with and without ground. When plug prongs are inserted into the lockout, its locking mechanism grips the prongs and exposes a locking hole that accommodates padlock shackle diameters up to 1/4" (6 mm). 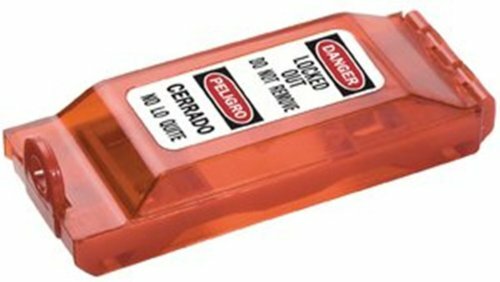 This lockout is made from a red polycarbonate for visibility and impact resistance, and includes three "DANGER" labels, one each in English, Spanish, and French. This device is part of a lockout/tagout (LOTO) safety procedure required at facilities where electrical plugs need to be isolated during maintenance and repair. Lockout/tagout (LOTO) safety procedures require that lockout devices meet Occupational Safety and Health Administration (OSHA) 1910.147(c)(5) standards for quality assurance. 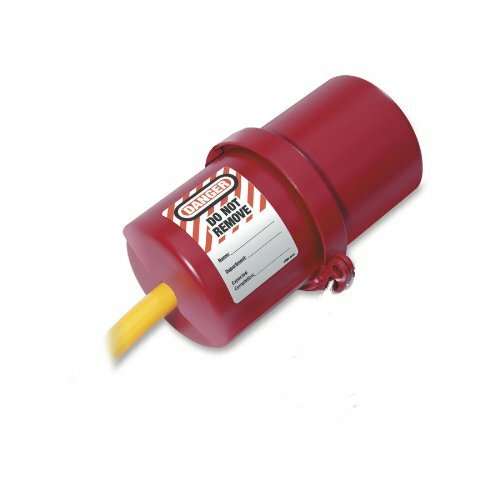 LOTO devices use color, warning labels or tags, and sometimes a physical barrier to help prevent machine operation or power activation during maintenance and repair. Master Lock manufactures padlocks, combination locks, and related security products. The company, founded in 1921, is headquartered in Milwaukee, WI. 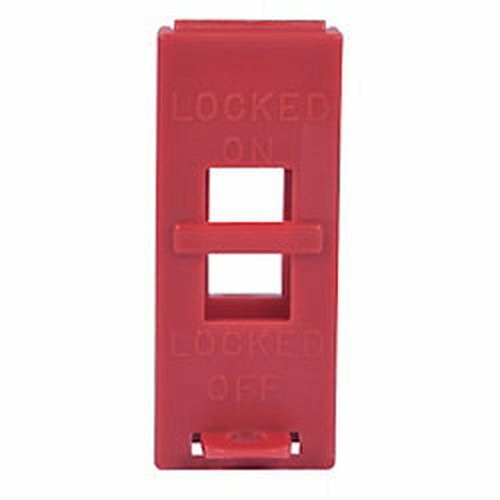 The Master Lock rotating electrical plug lockout is a thermoplastic shell that surrounds an electrical plug and combines with a padlock (sold separately) to help protect against plug connection during maintenance and repair, and fits electrical plug sizes up to 3" diameter x 6" (7.6 x 15.2 cm) with a cord diameter of up to 3/4" (1.9 cm) (most 220v and some 550v plugs). This lockout consists of two halves; one slightly smaller half fits inside the larger half when not in use, for installation in confined spaces and a compact storage footprint. Where the two halves meet, flanges from each half align to form two locking holes. A padlock shackle placed through these holes obstructs the inward rotation action of the lockout, helping to prevent access to the plug. Two locking holes provide the ability to require multiple authorizations to allow connection of a locked out plug. Red thermoplastic is electrically nonconductive and functions in temperatures from -50 to 350 degrees F (-46 to 177 degrees C). Three (English, French, and Spanish) warning labels with rewriteable areas for task-specific details are included. 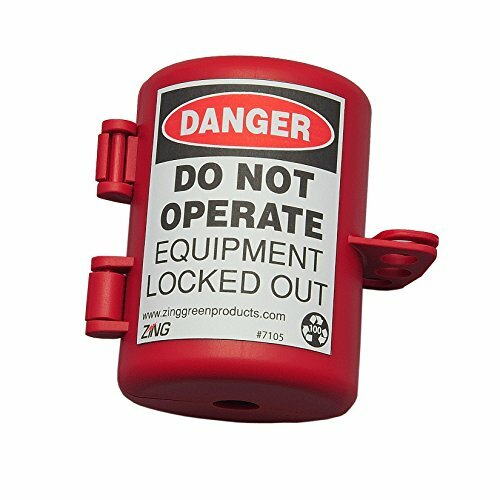 This lockout device is part of a lockout/tagout (LOTO) safety procedure required at facilities where electricity sources need to be isolated during maintenance and repair. ZING RecycLockout Wall Switch Lockout is designed to cover a wall-mounted switch and lock the switch in either the "on" or "off" position. Lockout will accommodate 1 padlock with shackles up to 3/8" dia. and is constructed from high visible red heavy-duty recycled plastic that supports sustainability initiatives and LEED credits. Switch lockout measures 3-1/2"H x 1-1/2" W x 1/4"D. Made in the USA. The Master Lock aluminum lockout hasp with plastic-coated handle has a spark-resistant aluminum jaw that closes to form a shackle held closed by up to six padlocks secured through a scissor-action handle. When this hasp is closed, the two halves of its handle overlap like scissors, and the six holes in each half of the handle align to create six locking holes, any of which, when blocked by a padlock (sold separately), obstruct the hasp's jaw from opening and allowing access to the locked out device or energy source. The handle is coated with non-conductive plastic to improve grip and protect equipment from scratching. This hasp is for use as part of a lockout-tagout (LO/TO) safety procedure required at facilities where a device or energy source needs multiple-person authorization to be accessed safely. When used according to manufacturer's recommendations, this product is covered by a limited lifetime warranty against defects in workmanship or materials. Lockout-tagout (LO/TO) safety procedures, as defined by Occupational Safety and Health Administration (OSHA), require that lockout devices be durable and standardized. Lockout devices use color, warning labels or tags, and a physical barrier to temporarily prohibit machine operation or power activation, and help reduce accidents, during maintenance or repair. 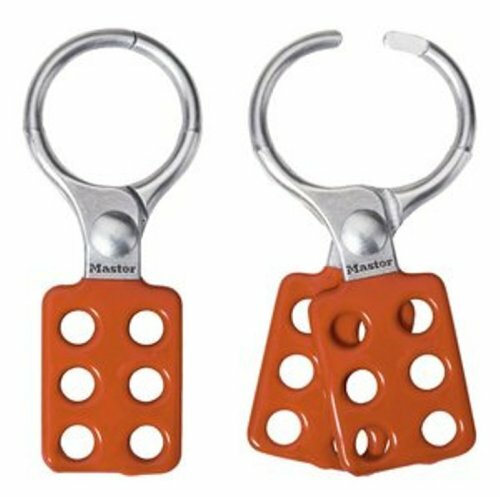 Lockout hasps are often used to secure energy sources in the off position during maintenance or repair when multiple workers are on the job. They consist of one shackle that can be locked closed by one or more padlocks, providing the ability to use multiple padlocks in a place where only one shackle will fit. The Master Lock universal wall switch lockout covers both toggle and rocker wall switches and combines with a padlock (sold separately) to help protect against switch operation during maintenance and repair. This lockout installs over the switch plate, using the existing screws. Once installed, the hinged cover can be left open when not in use to allow normal switch operation. The locking hole accommodates padlock shackles up to 1/4" (6 mm) outside diameter. 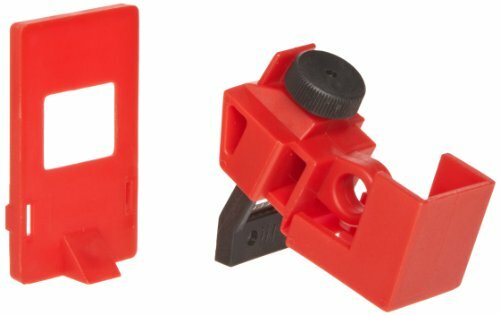 This lockout is made from a red polycarbonate for visibility and impact resistance, and the cover is translucent to show whether the switch is on or off. The lockout ships with two "DANGER" labels, one Spanish and English, and one French and English. 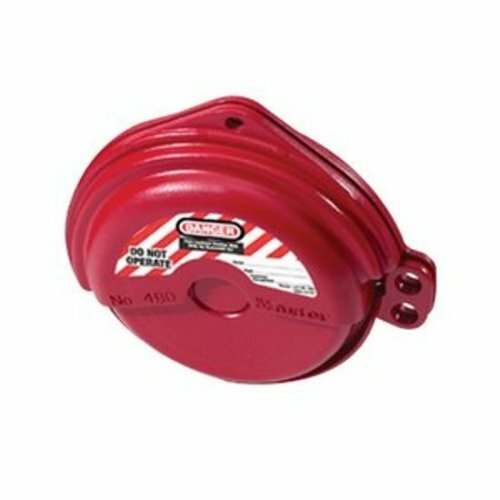 This device is part of a lockout/tagout (LOTO) safety procedure required at facilities where electrical switches need to be isolated during maintenance and repair. 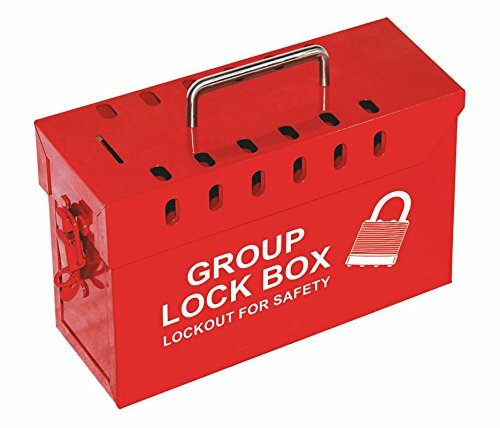 Lockout Safety Supply Group lockout boxes allow authorized employees to affix a personal lockout or tagout device to the Group lock box when they begin work and then remove those devices when they stop working on the machine or equipment being serviced or maintained. Keys can be retained in the box from the machine/equipment lockout points. The Master Lock No. 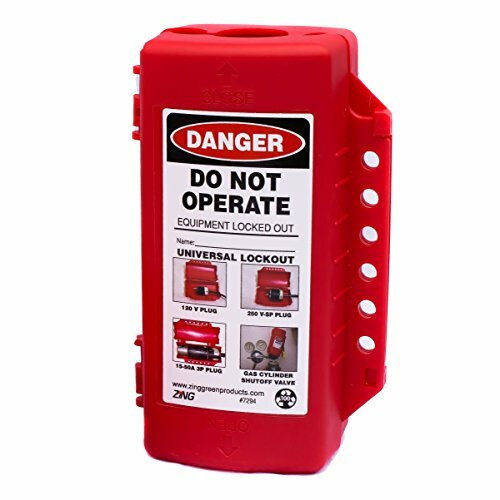 498A Latch Tight Portable Red Group Lock Box features a durable powder-coated red finish with an easy-to-grip, ergonomic handle. Accommodates up to 12 workers, or more with use of lockout hasps, lock box secures each lockout point on a piece of equipment with just one designated lock. Box captures keys from those lockout points by placing them in the lock box. Each authorized employee locks one personal safety lock onto the box and removes them only when their work is complete. Exclusive Latch Tight feature ensures that keys cannot be accessed until the last lock is removed. 2 ft. Double Looped Lockout Cable. 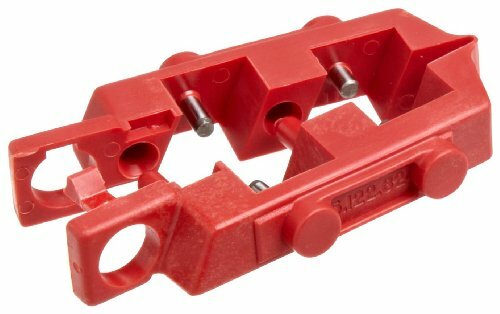 Brady 65387 120V Snap-On Circuit Breaker Lockout for use on single-pole and internal trip multi-pole breakers. Designed for 120V circuit breakers that have holes in the switch tongue, our snap-on breaker lockout is a "snap" to install! 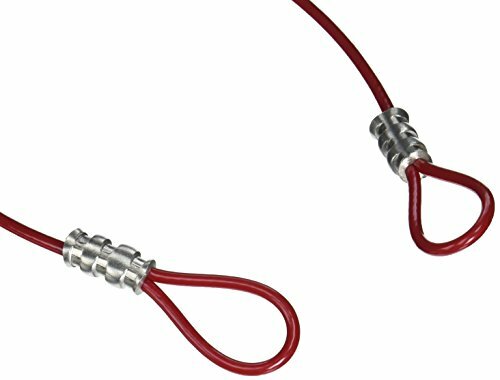 Dual cavities accommodate different size switch tongues and device accepts lock shackles up to 9/32" in diameter. Dimensions are 0.83" height, 0.35" Width, 2.15" Length and in red color. 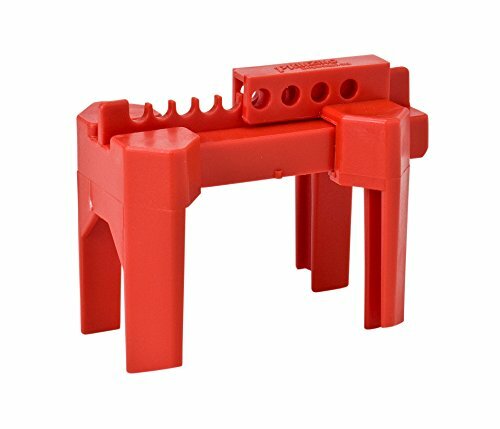 Brady 65396/65396 120/277V Clamp-On Breaker Lockouts made of rugged polypropylene and impact modified nylon and in red color. Clamp-on breaker lockouts are easy to install using patented thumbscrew design - no screwdrivers needed! 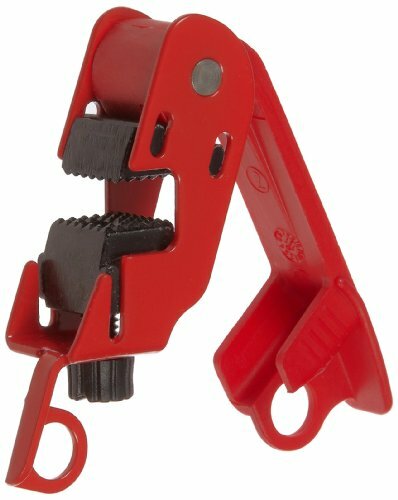 Simply tighten lockout securely onto switch tongue, pull cover over thumbscrew and lock cover to prevent clamp from being loosened. Accepts lock shackles up to 9/32" in diameter. Cleats are included (#65404) for use with breakers with long, sliding switch throws. Identify the drums and containers used for accumulating waste and other contents that might be considered harmful when handling. All labels comply with all current EPA and DOT regulations. These labels are extremely durable and not to be impaired by other labels, attachments or markings. 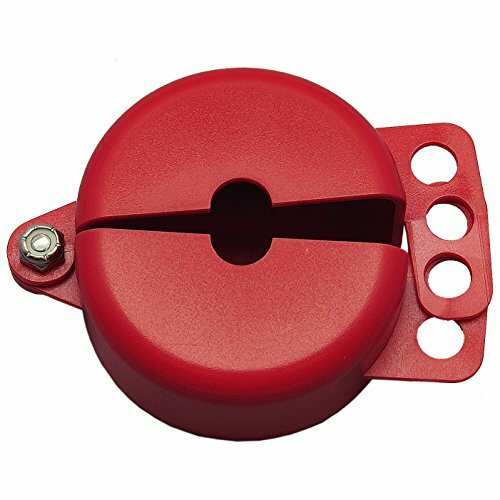 The Master Lock rotating gate valve lockout is a lockable thermoplastic shell that surrounds and covers a gate valve handle and aligns two flanges to form a hasp with up to four holes for padlocks (sold separately) to help protect against accidental valve opening as part of a lockout-tagout (LO/TO) safety procedure required at facilities where the flow of a fluid is controlled by a gate valve. This lockout consists of two halves; one slightly smaller half fits inside the larger half when not in use, for installation in confined spaces and a compact storage footprint. To deploy, the lockout is placed over a gate valve handle, with a center hole fitting over the gate valve stem, then the inner half is rotated out to surround the rest of the gate valve handle. Where the two halves meet, flanges from each half align to form a hasp with up to four locking holes. A padlock shackle placed through any of these holes obstructs the inward rotation action of the lockout, thereby prohibiting access to the gate valve handle. Multiple locking holes provide the ability to require multiple authorizations to allow operation of a locked out gate valve during maintenance or repair. 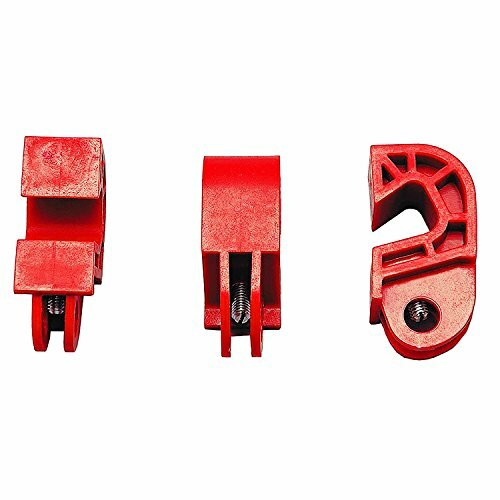 This lockout is made from red Zenex thermoplastic, which is nonconductive and functions in extreme temperatures: -50 to 350 degrees F (-46 to 177 degrees C). On the outer (or top, depending on the orientation of the gate valve,) part of the shell a small circular area can be removed to allow installation over rising stem gate valves. 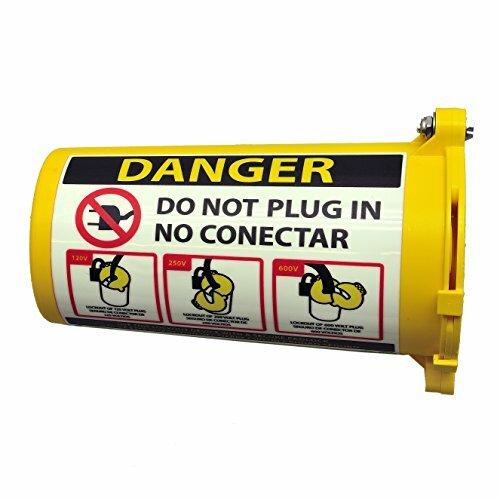 This product includes three (English, French, and Spanish) high-visibility warning labels with erasable areas for task-specific details. One label fits on the lockout at a time. When used according to manufacturer's recommendations, this product is covered by a limited lifetime warranty against defects in workmanship or materials. Lockout-tagout (LO/TO) safety procedures, as defined by Occupational Safety and Health Administration (OSHA), require that lockout devices be durable and standardized. Lockout devices use color, warning labels or tags, and a physical barrier to temporarily prohibit machine operation or power activation, and help reduce accidents, during maintenance or repair. Gate valve lockouts are lockout devices that temporarily prohibit operation of gate valves by covering the handle with a lockable shell. They are often used to secure fluids in the off position during maintenance or repair when multiple workers are on the job. Zing circuit breaker lockouts are made from eco-friendly recycled plastic. Universal circuit breaker lockouts fit single, double and triple pole switches .3"-.6" high, .35"-.44" depth with or without a hole. 3/Pack. Zing plug lockouts are made from eco-friendly recycled plastic and includes instructional label. 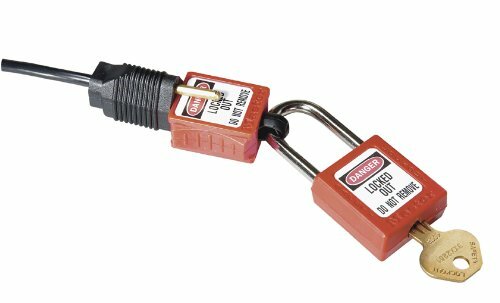 Large plug lockouts feature a universal fit closure accepting up to 1-1/4" diameter cord and 3" width by 5-1/2" length plugs and accommodates 3 padlocks. ZING Recyc Lockout Universal Plug/Forklift/Cylinder lockout device performs several critical lockout functions, including plug, forklift, and gas cylinder lockout. The device is made in the USA from recycled plastic, and measures 7.25 L x 4.25 W x 3 H. Recycled materials support LEED credits and sustainability initiatives. ZING RecycLockout Circuit Breaker Lockouts ensure safety by preventing energization of electrical currents to equipment and machinery. Circuit Breaker Lockouts are designed with a slide-on feature that allows the device to be securely mounted to a wide range of breakers that fit single, double and triple pole switches 0.3" - 0.6 " high, 0.35" - 0.44" deep, with or without a hole. 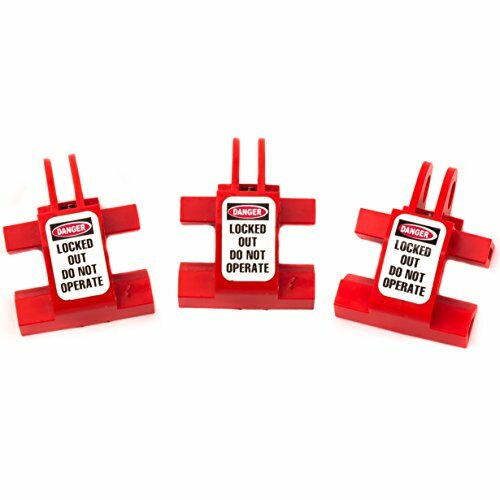 Breaker lockouts will accommodate 1 padlock with shackles up to 3/8" diameter and include a highly visible lockout label, DO NOT OPERATE. Lockouts are constructed from heavy-duty recycled materials to support sustainability initiatives and LEED credits. Measures 3-inches length by 1-inches width by 3-inches height. Made in the USA.